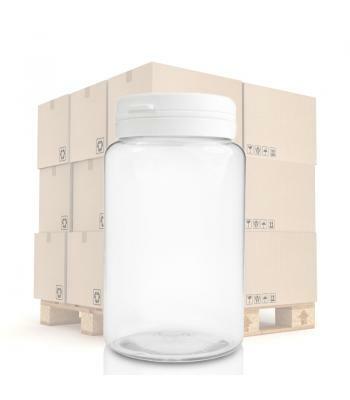 Our selection of premium plastic pill jars are manufactured from crystal clear polyethylene terephthalate (PET). PET is a food grade plastic, which is lightweight and shatterproof. It offers excellent moisture and heat protection and it has a good level of chemical compatibility. These clear plastic pill jars also offer optimal product clarity. 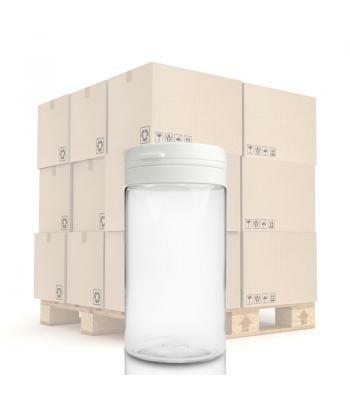 Overall, these containers offer a high end appearance, being reliable for packaging the following: pharmaceuticals, herbal remedies, vitamins, sports supplements and slimming solutions. Our smallest PET pill jar has a capacity of 100ml, which is ideal for small tablets, specimens, promotional and trial products. We also have 150ml and 250ml pill jars, ideal for capsules, caplets and powders. Each pill jar has a wide 40mm neck, for easy filling and dispensing and comes with a flip up white snap-hinge closure. Snap-hinge caps have a tamper evident seal, for the prevention of contamination, resulting in customer reassurance. The caps are so called due to their hinged attachment and snap shut mechanism.